We were aware of that markets were getting jittery towards the end of last year. Instead of getting out of the markets altogether and into the so-called “safe-haven” of cash, we rather re-positioned investments out of expensive markets and into markets showing better value. This is in line with our investment philosophy which is that we do not try to time the markets but rather spend time in the right markets. This is the only tried and tested method that delivers long term wealth creation. It was fascinating to see the amount of mass panic in the market during this time. The dark blue line in figure 2 below, shows the average of the world share markets, represented by the MSCI ACWI. One can see the dive the markets took of -13% during the last quarter of 2018. The light blue line represents investors either investing into the market (above the horizontal line) or taking funds out of the market (below the horizontal line). As the markets were doing well during the 2018 year, one can see that the amount of flows going into the markets as investors placed new money into the markets. 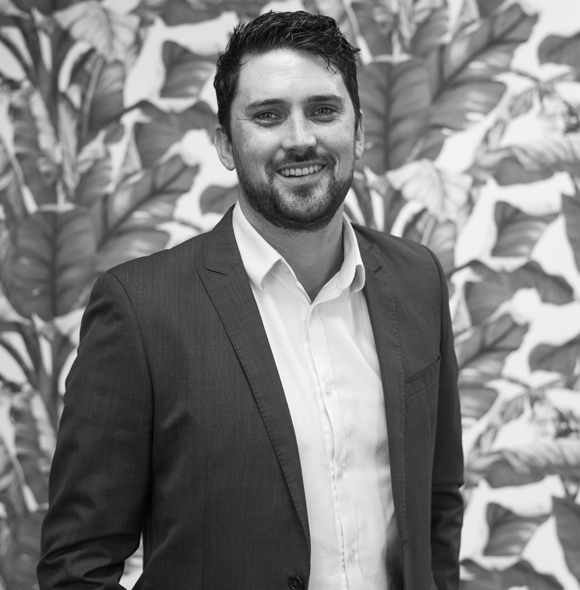 As the downturn started in September/October 2018, one notices the how investors panicked and pulled their funds out of the market, in an ill-fated attempt to “time the market”. The flawed thought process goes something like this, “I see the market is going down so I will pull my money out and get back in at the bottom as soon as the markets start to recover”. The big problem with this wealth-destructive strategy is that it is notoriously impossible to know when the bottom is and when the market will start turning. These investors fell into this destructive trap. 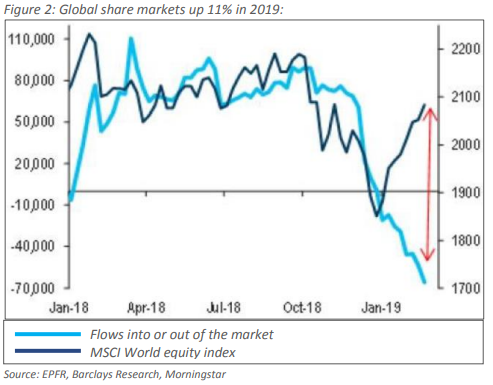 As spooked investors continued to take their funds out of the market in 2019, they missed the market bounce back, as the American S&P500 was up +12%, the UK’s FTSE100 up +10% and the MSCI ACWI up +11% all in USD in just 2 months to the end of Feb 2019.